"I want to do something for Brewers fans...I'm going to leave." Game 2 of the NLCS has been entertaining, with the Brewers opening up a lead on the Dodgers before Los Angeles clawed their way back. But the most fun moment of the day may have been one that didn’t really have much to do with the game itself. 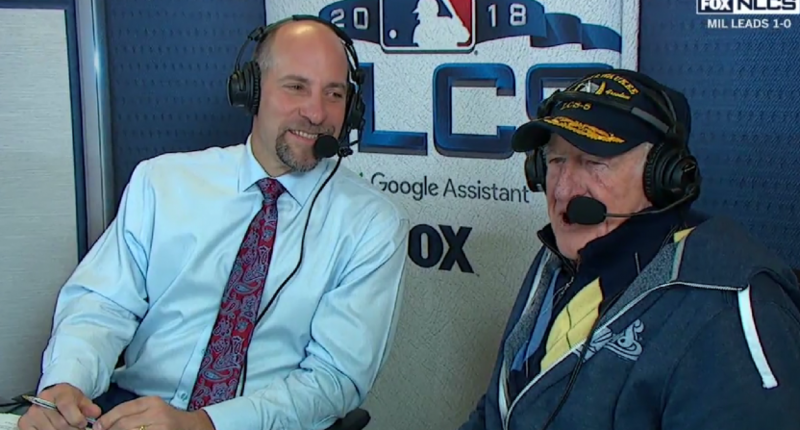 Hall of Fame Brewer broadcaster Bob Uecker joined Joe Buck and John Smoltz in the Fox booth for the third inning, and the top of the frame went as most of these visits do, with Uecker talking to Buck and Smoltz about the game, the series, throwing out the first pitch for Game 1, and more. But in the bottom of the inning, Buck announced he was going to step out of the booth and hand the reins over to Uecker. It was a very classy move for Buck, who gets much less credit than he deserves.